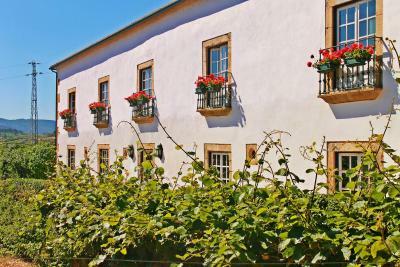 Lock in a great price for Hotel Rural Casa dos Viscondes da Varzea – rated 8.9 by recent guests! The hotel was quite lovely with beautiful surroundings, very private. The staff were very friendly and helpful. Dinner was delightful. Jorge and Francisco were wonderful hosts. Very helpful and attentive. They do an excellent job with the guests. In the evening we had tea by the fire and enjoyed an afternoon drink. The port tonic was fabulous! 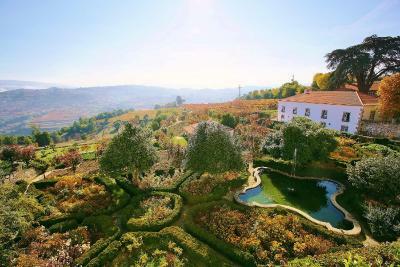 This is an amazing villa built in 1804 with a stunning view of the valley. 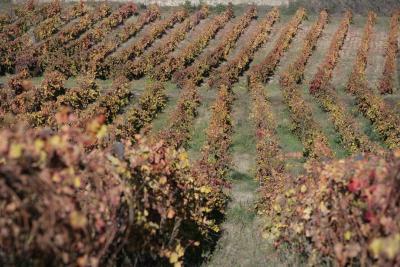 The red wine produced from their vineyards was fabulous. 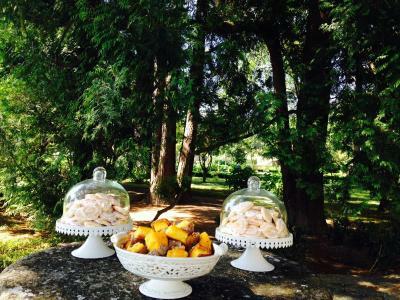 The oranges, nuts, and olives, were also from the farm. 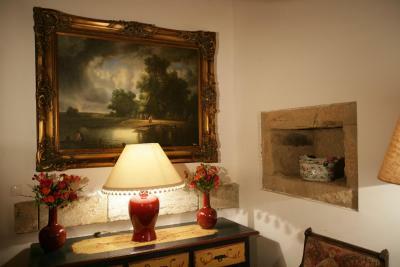 The fireplaces in the dinning room and living room provided warmth and a marvelous atmosphere. 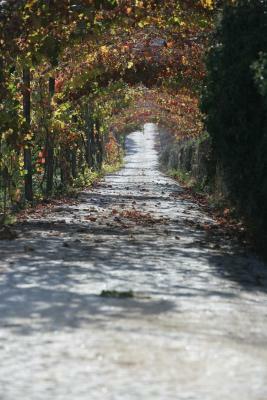 We were able to take walks around the vineyards that provided fresh air and exercise. Breakfast and dinner were delicious. 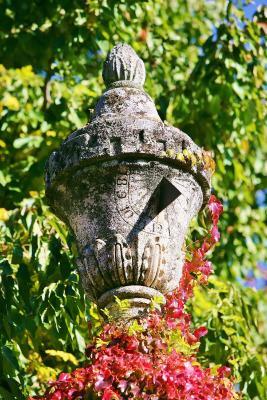 A trip to Lamego was very worthwhile to visit the cathedral, the museum, and the old village. Above all, the friendly service from Francisco and George made our stay an unforgettable 4-day experience! Love Daniela... she is bubbly and very helpful. The property is a beautiful estate! 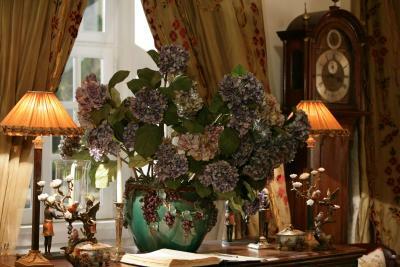 It is a remarkable place, beautifully decorated. Made you feel like family. Excellent food, dining area is fantastic. 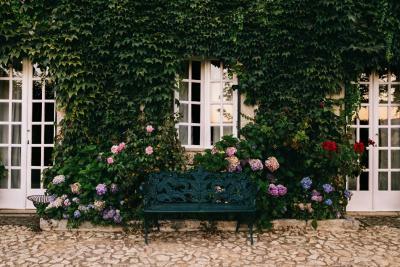 Gardens are lovely. 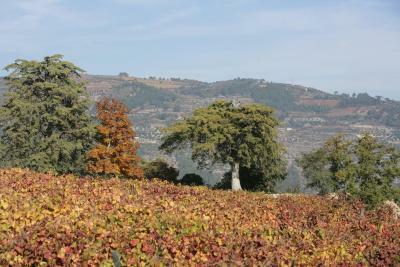 You can stay several days and use it as a place to visit the surrounding Douro valley. Our room was big with two full size beds with a little room attached with bed if traveling with child. 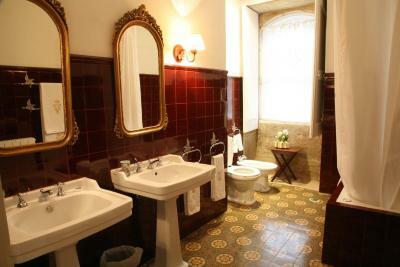 Bathroom was also big with two sinks. Hot water came immediately. We were staying in the main house with 3 feet thick walls so WiFi could not get thru. However, there are 3 large rooms with WiFi with a total of 6 sitting areas with fireplaces that we sat, read, enjoyed the fire and had tea and cookies. Really magnificient. The people that worked there were attentive and kind! The house was unique and dinner setting was incredible The gardens are a dream and the vineyards are so beautiful. Maria the owner is the sweetest lady and the staff are so kind and helpful. So relaxing and such a treat to have salt water instead of chlorine in the pool. We would love to come back to this place. Its perfect to disconnect and be in nature. Garden Fruit trees Tennis court Pool Staff MARIA !!!! The owner is so sweet and makes you feel.right at home. Beautiful grounds and hotel. The group dinner was magnificent. Felt like we were miles away from the masses. Wonderful, secluded location. 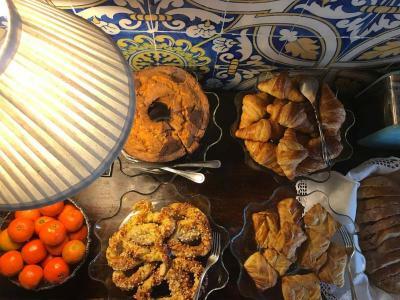 Breakfast was well done, lots of options, plus they were willing to make eggs and cappuccinos when asked. This property has history. The grounds are worth exploring and the young lady that greeted us upon arrival (Danyelle) was lovely. Our room was located in the main house and was spacious and quiet. 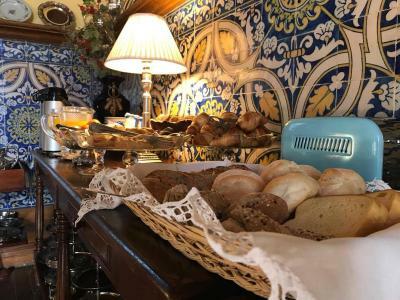 Hotel Rural Casa dos Viscondes da Varzea This rating is a reflection of how the property compares to the industry standard when it comes to price, facilities and services available. It's based on a self-evaluation by the property. Use this rating to help choose your stay! 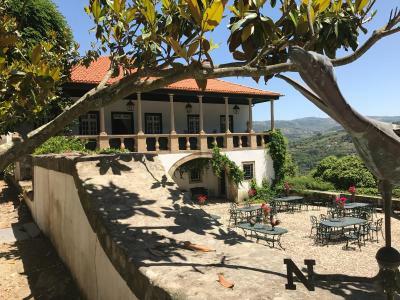 One of our top picks in Lamego.Viscondes da Varzea is a charming hotel set in an aristocratic country manor dating back to the 17th century. 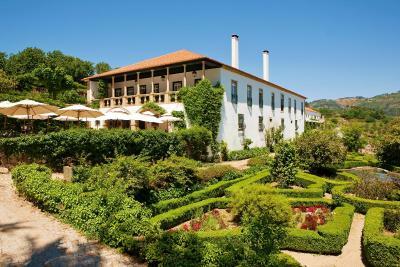 It is surrounded by vineyards, fruit orchards and olive groves at the heart of the Douro Region. 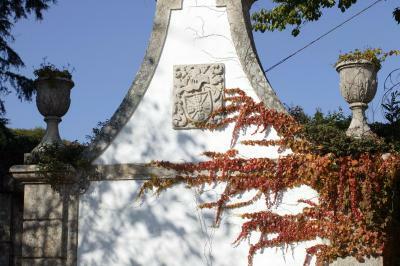 Rural Casa dos Viscondes da Varzea is an example of Portugal's Gothic-Manueline architecture. 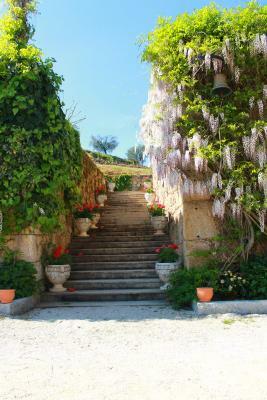 On-site wonders include a chapel with a baroque altar, centuries' old wine cellars and the oil press, still in use. The atmospheric rooms of the hotel include antique furnishings and a deluxe bathroom with spa bath and courtesy bathrobe and slippers. 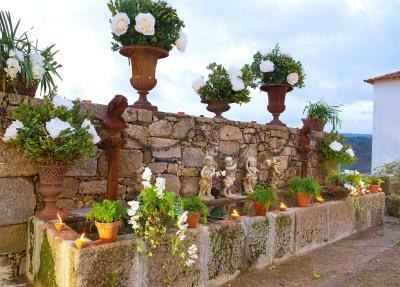 Decorative elements include stone banisters and baroque goblets. There are also an elevated salt-water swimming pool and a tennis court. 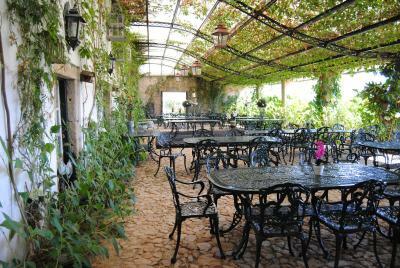 During the wine harvesting months, guests can participate in the wine pressing and join in folklore dinners, accompanied by concertina music. 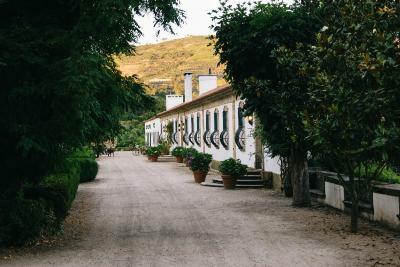 Hotel Rural Casa is located in Lamego and is close to the Murganheira Cellars, where sparkling wine tastings are regularly held. 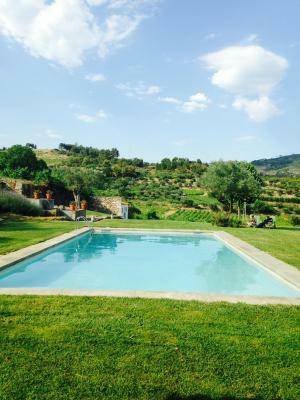 When would you like to stay at Hotel Rural Casa dos Viscondes da Varzea? 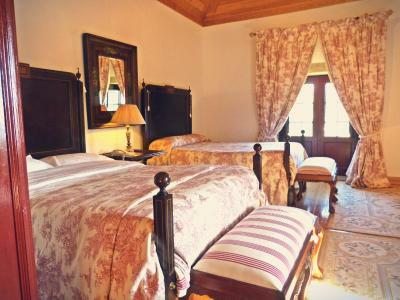 This room is decorated with antique furniture and it has 2 double beds. Includes a TV and sofa. 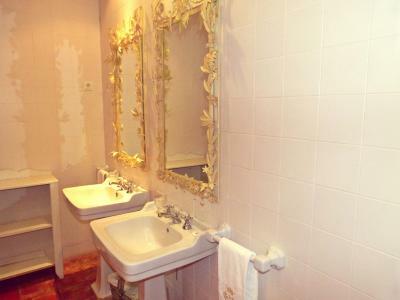 The bathroom features 2 washbasins. It also includes a bathrobe, slippers and toiletries. 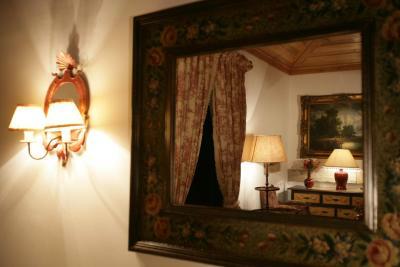 This room is decorated with antique furniture and has 2 large double beds. It includes a TV and a sofa. The bathroom features 2 washbasins. It also includes a bathrobe, slippers and toiletries. 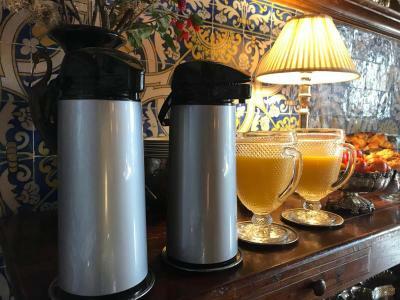 House Rules Hotel Rural Casa dos Viscondes da Varzea takes special requests – add in the next step! 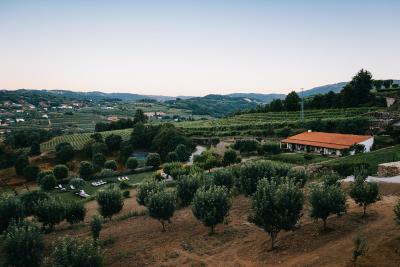 Hotel Rural Casa dos Viscondes da Varzea accepts these cards and reserves the right to temporarily hold an amount prior to arrival. Perfect location for a relaxing escape. I will definitely go again. We were given a room which was not up to the same standard as the other equally rated rooms. Although, generally the decor is worn and tired looking and our room was not clean or prepared for two peope. No wifi in the rooms, only on the main premises. Food mediocre, standard tourist fare, nothing to write home about. Great views and grounds around the property. Good sleep and strong water pressure in the shower. Welcome drinks (offered by staff at arrival) shouldn’t have been charged for, but we’ve managed to clear this misunderstanding in the end. 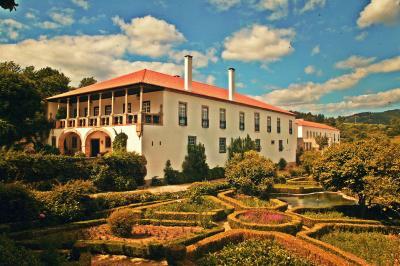 This is a historic pearl located just outside Lamego. 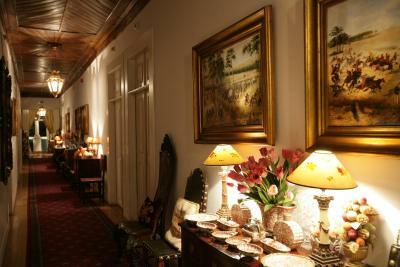 The uniqueness of this place is that it’s truly authentic, old manor house rebuilt and decorated with style. 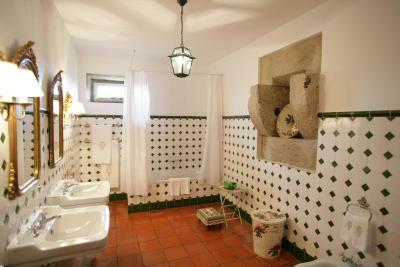 Rooms & bathrooms are large & traditionally decorated. Staff were extremely friendly & welcoming! Breakfast is extraordinarily fresh with ample choice of different foods. Will be coming back. We had such an amazing stay and couldn’t keep discussing how taken back we were by the hopsitality, the grounds/rooms, the staff as well as the wine and food. It’s a very ideal place to stay and not leave! Gives you a real chance to experience a very different way of life. Looking forward to visiting again in the summer! It felt like a step in the past in a great way! They served dinner and breakfast on a long table just like the royalty we see in the movies! My husband and I had the whole place to ourselves. 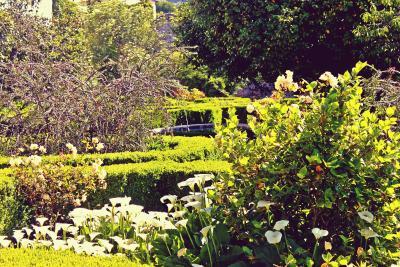 I love the gardens, the food is homemade delicious and nutritious. The atmosphere is amazing. 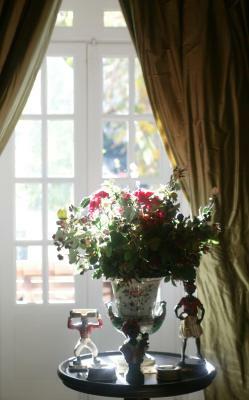 We enjoyed the very special atmosphere at the hotel, even though we stayed there off season. And we really enjoyed the nice dinner at the restaurant together with the other guests around the beautiful decorated table. No electricity during night over 5 hours So heating system stopped It was the darkest and coldest night ever in a place where nobody lives... somewhere at earth !!! This property is breathtaking from the moment you arrive. I honestly could not recommend this property enough. I arranged a trip with family and friends for my partners birthday. Upon booking I notified the hotel we were staying for my partners birthday celebration and also booked to dine at the restaurant. 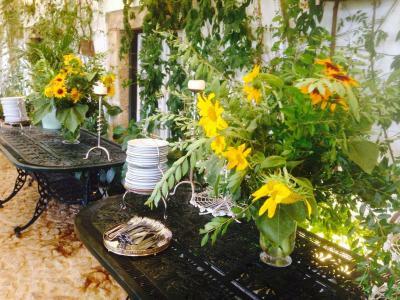 The staff situated us in a private dining room, of which was beautifully decorated. 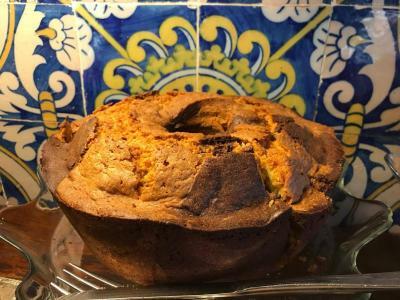 In addition they also prepared a surprise birthday cake. I was so touched by the generosity and attention to detail that was put in to making our stay an unforgettable experience. My expectations were completely exceeded. I cannot wait to return to this property. 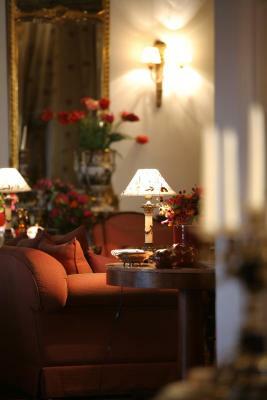 We enjoyed one of the three decadently decorated living rooms accompanied by a roaring indoor fireplace. 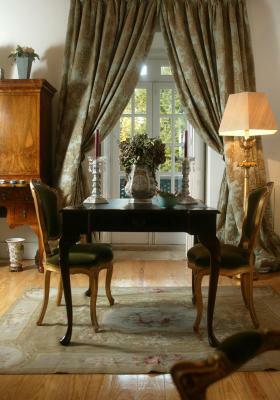 In combination with the incredible interior of this extensive property was the gorgeous location and views of the valley. All the produce decorating our dining table was grown on the property. I cannot wait to return and will be sure to highly recommend/insist on anyone to stay at this beautiful property. Thank you again! 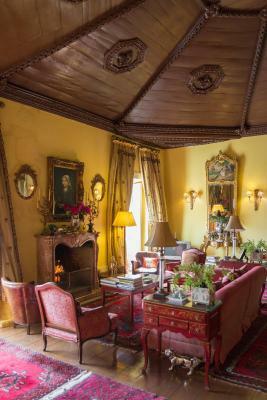 Beautifully furnished, like a palace, complete with log fire and huge elegant lounges . Numerous artefacts from around the world give it an extra dimension. 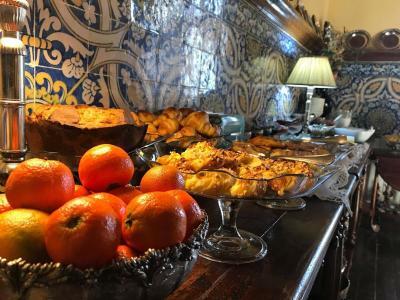 Dinner was like medieval banquet in a medieval dining room, complemented by plateful of local seasonal fruits and vegetables, served in beautiful plates, real feeling of luxury. Excellent dinner and breakfast, with ingredients grown on their own land. 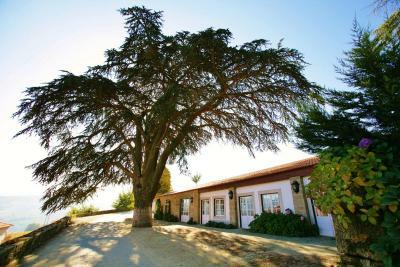 Hotel sits within its own vineyards and fruit trees with lovely countryside views. Staff are very friendly and attentive, particularly Daniela. One of the best we stayed amongst the many hotels we stayed around the world.